My husband has been on a kick lately making the most delicious martinis. I thought this would be a great one to share with you especially with the holidays fast approaching. 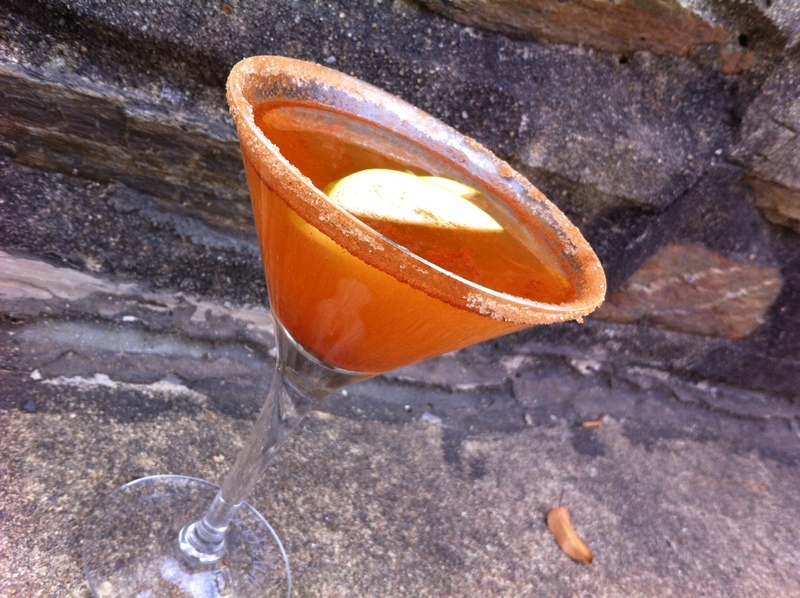 It’s not just an apple martini its a caramel apple martini. My mouth is water just telling you this. It’s super easy to make too. I hope you enjoy this one with family and friends. In a shaker add ice, apple juice, vodka, 1/3 teaspoon of cinnamon and shake it all up. On a flat plate mix remaining cinnamon and sugar together. This will be for the iem of your martini glass. This sounds great! My husband have a certain place we frequent because of their peanut butter and jelly martinis. I may have to try this one! This is everything I want for the holiday seasons. Thanks for sharing!